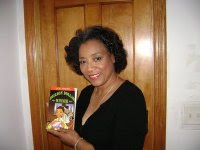 Arlene Jones - Featured Columnist Austin Weekly News: Austin Residents Fill Potholes Themselves! What to do when there are potholes on your street and the city won't pave them fast enough? That's what a West Side organization did today. Residents from the Austin neighborhood bought four bags of Quikrete from Home Depot for $50 and used shovels, rakes and a roller to fill about seven holes on the 4800 block of West Van Buren Street. "The city's not doing it so residents need to take the matter into their own hands," said Elce Redmond, organizer with the South Austin Coalition. The group fronted the $50 for the bags of asphalt mix. Neighbor Ernest Roberts luckily had a 50 pound roller in his garage -- left behind by a previous owner. Roberts complained about Mayor Daley's slow efforts in repairing potholes in the neighborhood. "He's too slow to getting around to here," he said. Chicago Department of Transportation spokesman Brian Steele said that the agency plans repairs based on the volume of 311 pothole complaints and the amount of traffic streets experience. CDOT received just one call about potholes in the 4800 block of Van Buren in the last two months, he said. The agency has repaired about 300,000 potholes since Dec. 1 and hasn't received state funding for resurfacing since 2006, he said.